Hindu fascism in US back yard! 09/05/2018 Washington, D.C. (International Christian Concern) – On September 7, 8, and 9, the World Hindu Congress will take place in Chicago, Illinois. The conference will feature a variety of speakers, including prominent Hindu leaders, members of Congress, NGO leaders, and other notable individuals. The event presents a misleading image of a harmonic and diverse collection of speakers who will tackle issues that span the cultural and governmental fabric of India. However, there is a much more sinister reality at play behind the scenes of the event. Many who will be participating in the event have extensive track records of calling for violence and discrimination against religious minorities. The event is organized by a number of organizations that include the Hindu America Foundation (HAF) and the Vishwa Hindu Parishad (VHP) of America, an organization that the Central Intelligence Agency (CIA) classified as a “militant religious outfit.” This is a classification that has been truly earned by the group’s leaders who, on several occasions, defended, and even called for, attacks on Dalits, Muslims, Christians, Sikhs, and other minority communities in India. Furthermore, the organization’s members have carried out extremist vigilante attacks against religious minorities accused of eating cows and for engaging in a baseless conspiracy called love jihad. Often, these attacks happen based on mere speculation and baseless accusations against individuals who are members of religious minority groups and lower castes in India. A more disturbing theme that accompanies these organizations is their ardent adherence to Hindu nationalism, also known as Hindutva. During the reign of Prime Minister Modi and his Bharatiya Janata Party (BJP), this radical Hindu nationalism has only grown. The BJP has adopted Hindutva as their party ideology and continues to advocate for policies that alienate all who do not fall within their definition of India. The party supported legislation on cow protection, which was ruled unconstitutional by the Supreme Court of India, and openly supports anti-forced conversion laws currently in force in several Indian states. The ideology draws inspiration directly from the fascist elements of the 1930s and 40s German Nazi party. Hindutva literally embodies the themes of ‘Hindu-ness’ to all of India, and all non-Hindu elements are deemed a threat to India. Minority faiths such as Islam and Christianity fall directly in the category of non-Indian and non-Hindu, and therefore pose a direct threat to India’s Hindu-only identity. The BJP often touts the slogan that to be Indian is to be Hindu. Much of the growth of nationalism is due to the rising influence of the VHP and its parent organization, Rashtriya Swayamsevak Sangh (RSS), of which Prime Minister Modi is a member. RSS is also the grandfather organization of the BJP. The growth of the radical Hindu nationalist elements manifests in the form of increased crimes against Dalits, Christians, Muslims, and other religious minorities. The perpetrators enjoy near perfect impunity which only emboldens them to continue to harass religious minorities. Law enforcement officers and the judicial system often turn a blind eye. This is a clear indicator of the general decline in civil rights, law and order, and the overall welfare of the general public in India. Many of the fanatical BJP and RSS leaders continue to engage in blatant hate speech and advocate for violence against all non-Hindu elements in India. They press for a complete Hindu identity for all Indians, a stance that directly violates the freedom of religion and identity guaranteed to all citizens in the Indian constitution. The hatred and intolerance dates back many years in India. 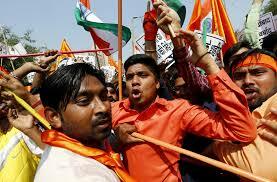 In 2002, a New York Times report quoted Harish Bhai Bhatt, a VHP leader, as saying “Now, it is the end of tolerance. If the Muslims do not learn, it will be very harmful for them.” The tide of Hindu radical nationalism has been a long time coming and culminated in the election of Prime Minister Modi in 2014. The BJP, RSS, and VHP will continue to push this radical ideology as a primary component of their identity and thereby continue to incite violence and hate toward all ‘non-Indian’ elements of the country. International Christian Concern recently surveyed 1,000 Christians across eight states in India and found that an overwhelming majority of Christians (68.8%) feel discriminated against and feel that their safety is significantly threatened. 80.25% of the Christians surveyed expressed that the perception of local police was biased against them. This is especially concerning as the survey also reported that 85.61% of the Christians surveyed sense an increase of violence from Hindu radicals against their communities, families, and places of worship. The survey served as a defining indicator of the deepening hatred festering in the radical Hindu community. In spite of the troubling realities surrounding those who have organized the World Hindu Congress, many members of Congress and public servants have pledged their support for the event and even agreed to participate as speakers and presenters. These include Republican State Legislator Niraj Antani and Democratic Member of Congress Raja Krishnamoorthi. Even major corporations such as Walmart and FedEx are participating as speakers and presenters. 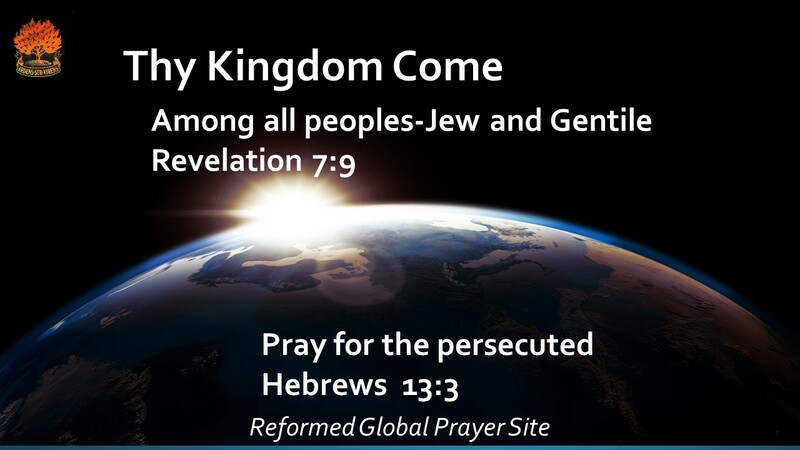 International Christian Concern and many partner organizations are publicly calling these key figures to boycott the event in protest. Needless to say, the radical organizations behind the event represent a direct threat to the values that the United States and much of the world hold dear. Their ideological stance directly violates the human rights of all people and it is not in the best interest of any representative, organization, or company to support this event. The United States and all who represent and value the freedoms and principles enshrined in the US constitution should raise their voices publicly and call attention to the realities that underpin the World Hindu Congress. ← One Christian murdered and another loses sight in one eye in attack by Muslim neighbours.